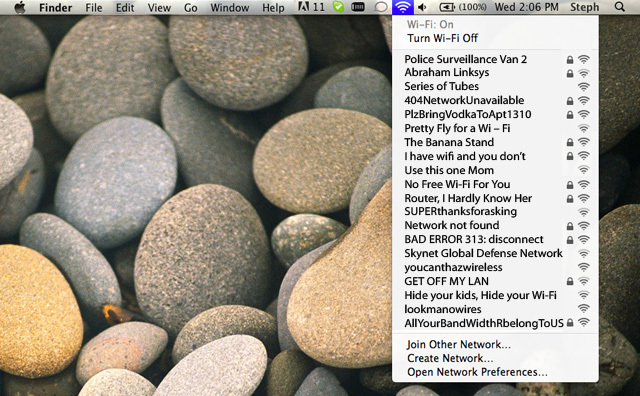 In honor of Wi-Fi Day Tuesday — 8.02.11 — Mashable asked our community to tell us about the best Wi-Fi network names they’ve seen. We received a staggering number of responses. Submissions ranged from jeers at people stealing Internet, pop culture references (it seems our community loves Arrested Development and The Offspring), pranks and the occasional obscenity. Did we miss your favorite? If you think it’s worthy of inclusion, let us know in the comments.